A pending event can be delayed. You can delay an event many times. To delay an event, use the Power Manager Menu. Use the Alt and Command modifier keys to adjust the delay time. 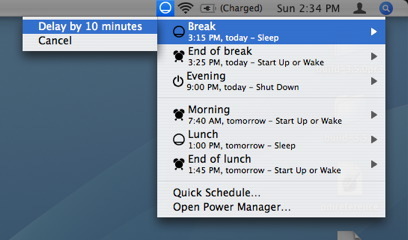 For more information see Power Manager Menu Reference > Event > Delay by 10 minutes.